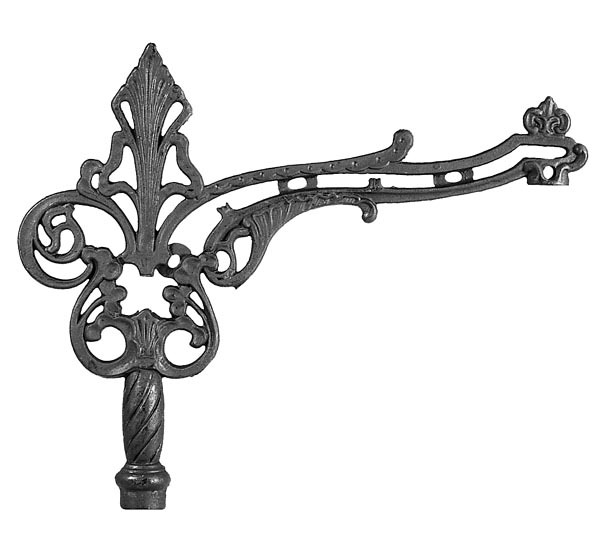 Victorian Style Bridge Lamp Arm, cast iron with satin black finish, "Bows & Clovers" motif, tapped 1/4F X 1/8F. Arm accepts swivel nozzle or a swivel bracket cap. 12" long X 10 1/4" height. 1/4 IPS x 1/4", Both Ends Threaded, Fixture Stem - Lamp Pipe, Your Choice of Lengths from 2" to 36"
No reviews yet for the 12" "Bows & Clovers" Bridge Lamp Arm.